The Virtual Pharmacy Trade Show is pharmacy's one-stop destination to research and connect with leading providers of products and services throughout every segment of pharmacy. Due to our accessibility, relevance, and focus, more than 50,000 annual visitors depend on the Virtual Pharmacy Trade Show to conduct preliminary and advanced research on industry leaders. Save the Date for #CCH2018! Registration NOW OPEN for IACP's 24th Annual Compounders on Capitol Hill! The 24th Annual Compounders on Capitol Hill (CCH) will be held June 23-26, 2018 at the RenaissanceWashington DC Downtown Hotel. With more than 400 expected attendees in 2018, Compounders on Capitol Hill brings together the top-level compounding pharmacists and technicians from across the country with the same goal � to protect pharmacy compounding. CCH returns to Downtown Washington, D.C.! The Renaissance Washington, D.C. is conveniently situated in the Penn Quarter district near Capitol Hill and the White House. It's surrounded by shops, restaurants, the Spy Museum, Chinatown, the National Portrait Gallery, and world-famous National Mall monuments. 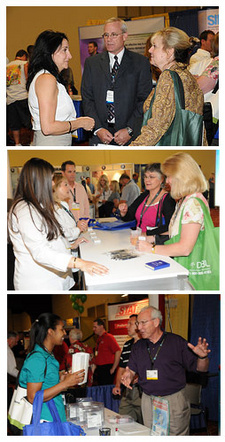 Expanded exhibit hall puts attendees face-to- face with leading companies that serve compounding pharmacies. Socialize and support the IACP Foundation at Rx Mixer on Sunday, June 24, 2018. The COMP PAC Dinner and Fundraiser is an exclusive opportunity to hob-nob with the powerful movers and shakers of Washington, D.C. The COMP PAC will host a very high-profile influencer to talk face-to- face with our attendees about the future of health care. The annual Federation of American Hospitals (FAH) Public Policy Conference and Business Exposition is widely regarded as one of the health industry�s finest health policy forums. The FAH Public Policy Conference routinely features addresses by leading members of Congress, the executive branch, the business community and the media, as well as participation by those who manage on a day-to-day basis the government programs that are critical to the industry. The nationally acclaimed Buyer/Supplier Business Exposition brings together representatives from both sides of the buying table, affording them the opportunity to interact and conduct business while participating in continuing education programs. ATTENDEES: Senior executives from multi-hospital system management companies and hospitals; representatives from health care group purchasing organizations (GPOs) and integrated delivery network organizations (IDNs); and, health care suppliers, manufacturers and distributors. BENEFITS FOR SUPPLIERS:This event affords numerous opportunities to meet directly with representatives from GPOs and IDNs all in one location -- a "one-stop shopping" for your business requirements. In these challenging economic times many companies are utilizing the FAH Business Exposition as their first quarter, and in some cases their second quarter, travel budget. As an added value, the buyer group is the exhibitor, consequently, there are no booth or product shipping costs on the part of supplier companies. The 2019 FAH Public Policy Conference and Business Exposition will be held March 3 - 5, 2019 at Mariott Wardman Park Hotel, Washington, DC. For further details regarding the FAH Public Policy Conference and Business Exposition, please call 202-624-1500. The Healthcare Supply Chain Association (HSCA) is a broad-based trade association that represents 14 group purchasing organizations, including for-profit and not-for-profit corporations, purchasing groups, associations, multi-hospital systems and healthcare provider alliances. We work collaboratively with all legislative and regulatory authorities to ensure fair and efficient procurement practices in an open and competitive market within the health industry. We provide educational opportunities designed to improve efficiencies in the purchase, sale and utilization of all goods and services within the health industry. We uphold the ethical conduct of business practices within the industry and the standards adopted by the Healthcare Group Purchasing Industry Initiative that are intended to strengthen the integrity of the health care supply chain. We enhance the awareness of our members' efforts to support the delivery of high-quality, cost effective health care. We promote meaningful dialogue between health industry organizations engaged in group purchasing and other industry entities on issues of mutual interest. An open forum exists for the exchange and promotion of best practices in the non-labor cost side of health care and for the exploration of complex issues in health care cost control. Cost-efficient, high-quality health care is more widely available. Innovative approaches flourish, and standards of practice and excellence are maintained, in the health care products market. Free market dynamics for health care products are maintained. Beneficial and legally allowable cooperation is not disrupted by the proprietary interests of industry competitors. First Association for Pharmacy Buyers is Founded! In January 2010, the first association specific to Pharmacy Buyers, the National Pharmacy Purchasing Association (NPPA), was founded by Summerdale Enterprises, Inc., the publisher of Pharmacy Purchasing Outlook and conductor of Annual Pharmacy Purchasing Networking Conferences (from hereon to be known as the NPPA Conference). NPPA was created for Pharmacy Buyers in response to the need of such an organization expressed by the subscribership of Pharmacy Purchasing Outlook, and the attendees at their Annual Conferences. Promote the Profession of Pharmacy Purchasing. Provide Specific and Enhanced Educational Opportunities for the Pharmacy Buyer. Provide a Unified Voice for the Professional Pharmacy Buyer. Affirm that Pharmacy Purchasing is an important aspect of Total Patient Care. Members of the Association will consist of Institutional Pharmacy Buyers, regardless of their local job title, and those who support the goals of the Association. In May 1879, 18 pharmacists met in the backroom of a Dallas drug store and formed the Texas State Pharmaceutical Association. Their goal was simple: to improve the quality of drugs and pharmaceutical services in Texas. We�ve been the state�s leading advocate for pharmacy ever since. Today, TPA serves almost 4,000 members practicing in all areas of pharmacy, including community pharmacies, hospitals, long-term care facilities, education, manufacturing and distribution. We are the strongest voice speaking for all Texas pharmacy professionals and national leaders in lobbying, continuing education and practice innovation. As Rxperts, we are transforming the patient-pharmacist relationship and empowering today�s pharmacists to be effective health-care advisors. Rxperts - TPA�s patient-focused pharmacy professionals - have a vital message that will help patients improve their health and better manage their own care. This message has the power to transform the patient-pharmacist relationship, empower pharmacy professionals to improve adherence and outcomes, and transform the public image of pharmacy. The Rxperts of Texas Pharmacy Association are redefining the role of pharmacy in Texas. and attracting a new generation of pharmacists eager to meet the challenges head-on. Knows that constant advocacy is critical to the advancement of pharmacy. We are uniting Texas pharmacy to engage patients and improve outcomes while advancing pharmacists as full partners in health care. TPA, Texas pharmacist association on pharmacy marketing and meetings with rxpert, pharmacy tradeshows, marketing associations. Texas State Pharmaceutical Association and drugs and pharmaceutical services in Texas serves community pharmacies, hospitals, long-term care facilities, education, manufacturing and distribution. The vision of the American Society of Consultant Pharmacists is optimal medication management and improved health outcomes for all older persons. Identify, resolve, and prevent medication-related problems that may interfere with the goals of therapy. 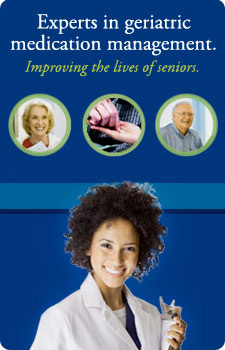 ASCP's 7,000+ members manage and improve drug therapy and improve the quality of life of geriatric patients and other individuals residing in a variety of environments, including nursing facilities, subacute care and assisted living facilities, psychiatric hospitals, hospice programs, and home and community-based care. In addition, 4,500+ pharmacy student members of ASCP demonstrate their identification with and support of ASCP's mission and vision to serve seniors wherever they reside. "The Leader in Wellness, Patient Safety and the Optimal Use of Medications"
Founded in 1962, CSHP is a professional society representing thousands of pharmacists, pharmacy technicians, student pharmacists and associates to promote wellness, patient safety and the optimal use of medications. The specific purposes and objectives of this corporation are to promote rational, patient-oriented medication therapy across the continuum of care; to foster the optimal and responsible use of medication-related technologies; to promote pharmacists, and technicians as integral members of the healthcare team in order to allow full utilization of their clinical skills and knowledge of the medication use process in each healthcare setting; to serve as a primary advocate for advancing professional practice, optimizing patient outcomes, and improving the quality of patient care; to promote pharmaceutical services that use sound pharmacoeconomic principles; to advocate the pharmacist's and technician's value to patients by ensuring that appropriate clinical services and the medication use process are applied to their benefit; to promote public health by fostering the optimal and responsible use of medications, including education for proper use and/or controlled use of medications; and to promote competency in the profession by offering state of the art education and training programs. CSHP members practice in a variety of organized health care settings including, but not limited to hospitals, integrated healthcare systems, and clinics, home health care and ambulatory settings. The mission of California Society of Health-System Pharmacists' Continuing Pharmacy Education program is to provide innovative educational activities that will advance the practice of pharmacy and optimize patient care. California Society of Health-System Pharmacists is accredited by the Accreditation Council for Pharmacy Education (ACPE) as a provider of continuing pharmacy education. ACPE standards were designed to facilitate the continuum of learning and emphasize the foundation needed for development of the learner as a lifelong learner. Welcome to the 37th annual meeting of the California Society of Health-System Pharmacists, �Jackpot, Pharmacy!�. CSHP is proud to offer the largest state-run seminar for health-system pharmacists in the United States! The goal of Seminar is to provide our attendees, ranging from pharmacy students to directors, with a venue for networking with colleagues, updating their knowledge, enhancing their skills and learning about the latest products and technologies offered by industry. The multitudes of continuing pharmacy education courses provided at Seminar are developed to maintain and enhance the knowledge, skills and abilities of all attendees. From presentations to receptions, Seminar has found the perfect balance of content and networking for professional growth and inspiration of health-system pharmacists and technicians as well as other pharmaceutical related professionals. Seminar is designed by health-system pharmacy professionals from California for health-system pharmacy professionals. This ensures greater insight into the unique needs of our members and an opportunity for a meaningful, worthwhile experience tailored to your personal and professional requirements. Seminar 2012 is a fantastic opportunity to fulfill your personal commitment to professional experience and life-long learning. Dedicated to helping veterinarians provide high quality therapies and services for their animal patients. Join us and see what's possible at the McKesson ideashare, July 12-16. Where Buyers and Sellers Come Together, Hospital and Alternative Site Pharmacy Efficient Program Planning Session. NCPA prescribes member benefits. Join today! Efficient Collaborative Retail Marketing (ECRM)� provides Business Solutions by integrating Process, Vision and Technology�. Comprised of category & season specific Efficient Program Planning Sessions (EPPS)�, MarketGate software, ECRM� is helping retailers and manufacturers improve sales, reduce expense, and go to market faster and more efficiently. NACDS is renowned for its annual meetings and conferences. No other organization brings together the caliber of industry leaders and decision-makers from the retail drug store industry that NACDS does year after year. Find out what innovative activities your pharmacist peers are doing to transform the future of independent pharmacy and open your imagination to the opportunities that await you. This is your opportunity to educate yourself through continuing education sessions, meet with your industry peers, and more! Expand your presence with buyers and decision-makers in one of the top markets in the nation by showcasing your new products and services at the largest gathering of pharmacy professionals in the Southwest! Exhibiting at the 2010 SW Conference & Expo allows you to reach key decision-makers from all pharmacy practice areas in Texas and surrounding states, including community pharmacies, consulting firms, hospitals, long-term care facilities, retail outlets and much more! Exhibitors at the National Association of Chain Drug Stores (NACDS) Total Store Expo donated more than four tons (8,400 lbs.) of consumer goods to be dispersed to various charitable organizations throughout the Greater Boston community. NACDS worked with the Massachusetts Convention Center Authority's (MCCA) Conventions C.A.R.E. (Community Assistance by Responsible Events) program, which is distributing the products to local nonprofit organizations to be dispersed to those in need. Conventions C.A.R.E. was established by the MCCA in 2010 to benefit local non-profits, convention and trade show exhibitors, and convention centers. Local nonprofits benefit from useful donations, while exhibitors are saved the time and expense of shipping goods after a show ends. On September 18, 2014, The TerraPharma Project, will present the 2014 Sue Kinnick Way-Paver Awards for Healthcare Barcoding at its ninth unSUMMIT for Healthcare Barcoding in New Orleans, LA.